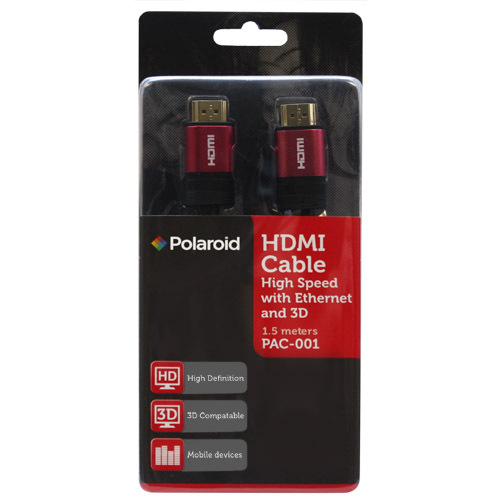 Ensure optimal performance from your state-of-the-art equipment with our Polaroid HDMI cable with High speed , Ethernet and 3D . This is a high performance home theater interconnect for high-definition for HDMI-equipped devices. Enjoy ultra-high resolution digital video and true digital audio, delivered together through a single high performance connection. Advanced cable design, top quality materials, and superior construction maximize the experience and leave nothing to chance.